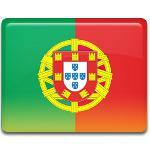 April 25 is Freedom Day in Portugal. This holiday commemorates the anniversary of the 1974 Carnation Revolution. The Carnation Revolution started as a military coup organized by the Armed Forces Movement (Movimento das Forças Armadas), that was composed of military officers opposing the regime of the Estado Novo, installed in Portugal in 1933. Soon the movement was coupled with an unanticipated and popular campaign of civil resistance. The movement led to the fall of the Estada Novo. The revolution got its name due to the fact that almost no shots were made during the coup. The bloodless overthrew of regime ended, when the Portuguese came to streets to celebrate the end of the dictatorship and war in the African colonies and East Timor. The red carnations were put into the muzzles of rifles and on the uniforms of the army. The Carnation Revolution played a very important role for the further development of Portugal. A new constitution was adopted in 1976, as an aftermath of the revolution.